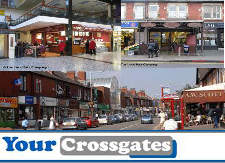 ConnectingCrossgates develops opportunities to express love for others in practical ways within the Crossgates community. For instance, we have setup a paired reader’s scheme to enable volunteers to sit with stud ents who have problems reading. Our goal and motivation is to love people with no strings attached. We seek to serve the whole community, regardless of race, beliefs, lifestyle, ethnic background or religion. We aim to connect individuals & organisations, to work together for the benefit of the whole community. We are motivated by the Christian principles of faith, hope and love. We are an inclusive project, valuing respect and diversity. Our ultimate goal is that through practical action, partnership, and mutual respect, we can help people connect with each other and God.